FREE today, this educational app for the iPhone/iPad usually costs $1.99. Kids help Princess Piano dance her way back to the Cloud Kingdom by playing the songs on the piano as well as they can. The app introduces musical notation one note at a time (starting with c,d,e….) as well as the timing of notes (quarter notes, half notes). Kids are given practice as each new note/concept is taught. There are three modes of difficulty: beginner (keys flash, key/notes are labeled, 60% or better to advance), advanced (keys labeled, 80% or better to advance) and virtuoso (90% or better to advance). 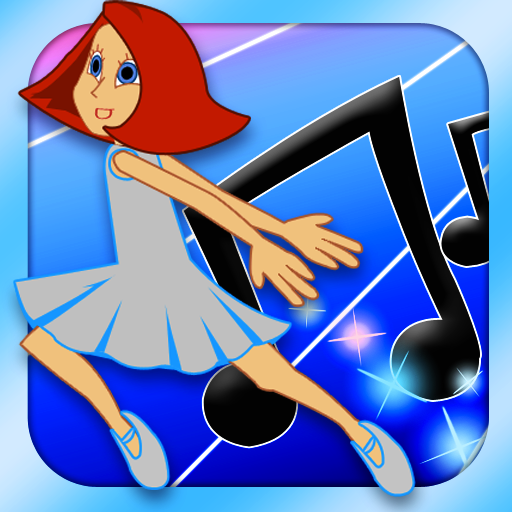 As kids advance through the levels they unlock outfits for Princess Piano – which they can use in “Dressing Room.” There is also a “Song Maker” tool for kids to compose their own music. This app is a great introduction to reading music!